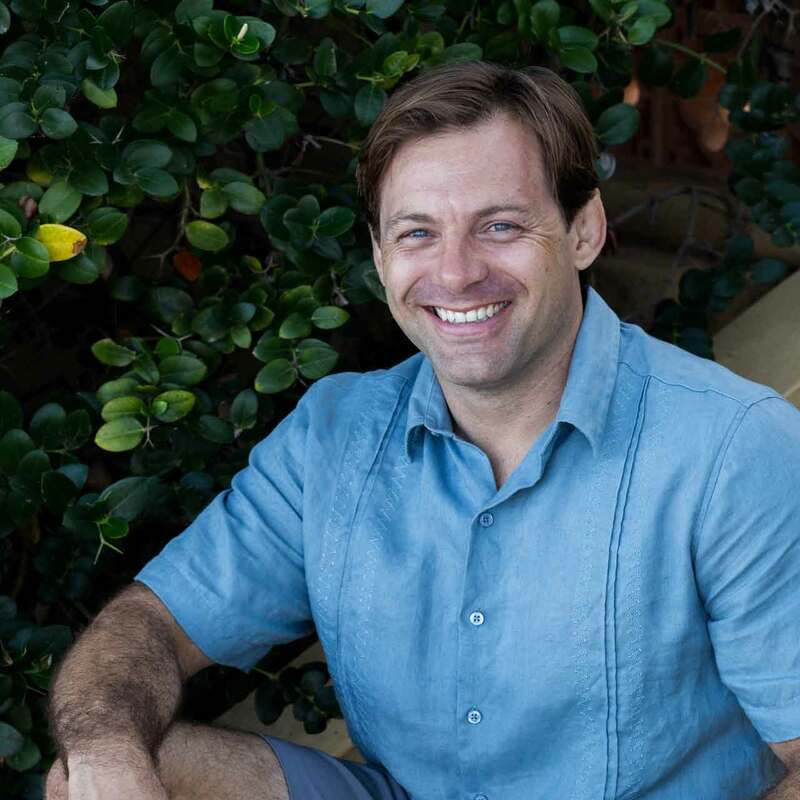 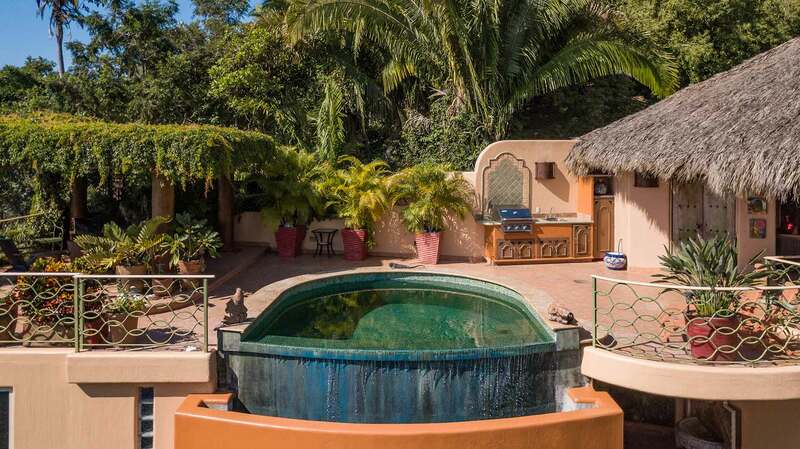 Quinta Chachalaca is in a league of its own! 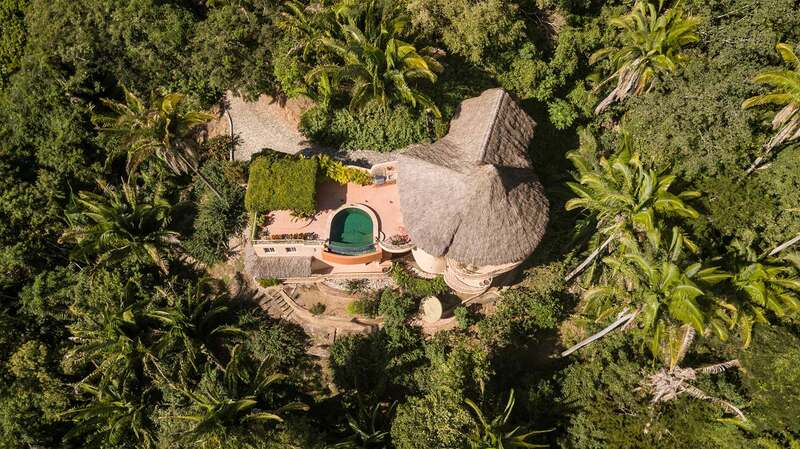 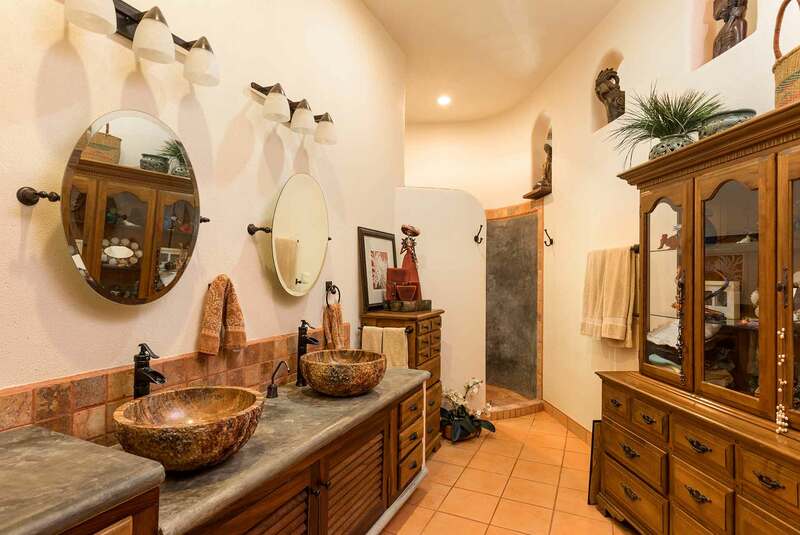 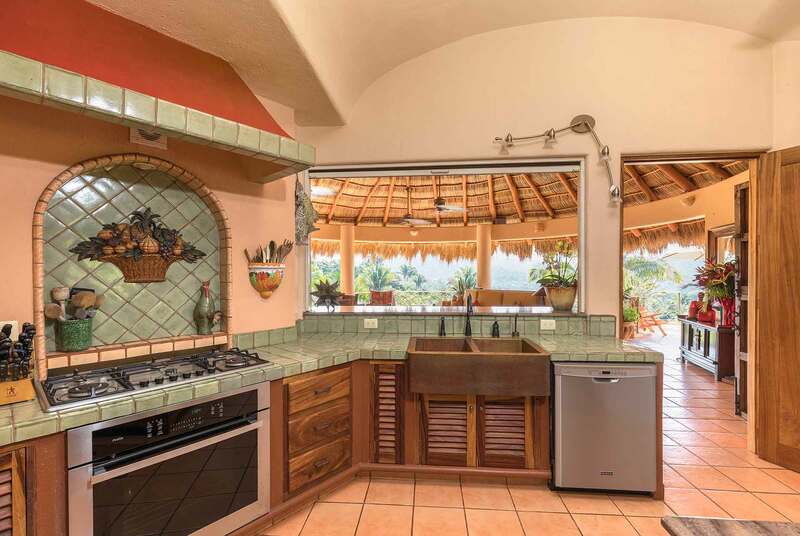 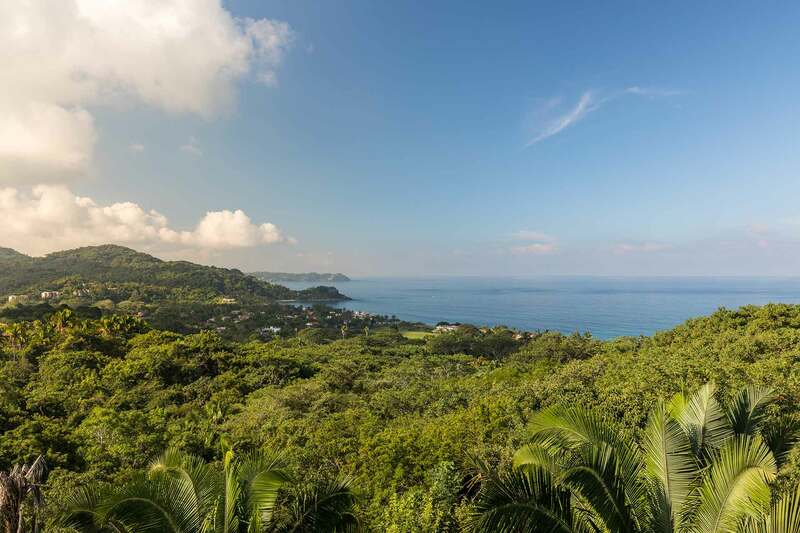 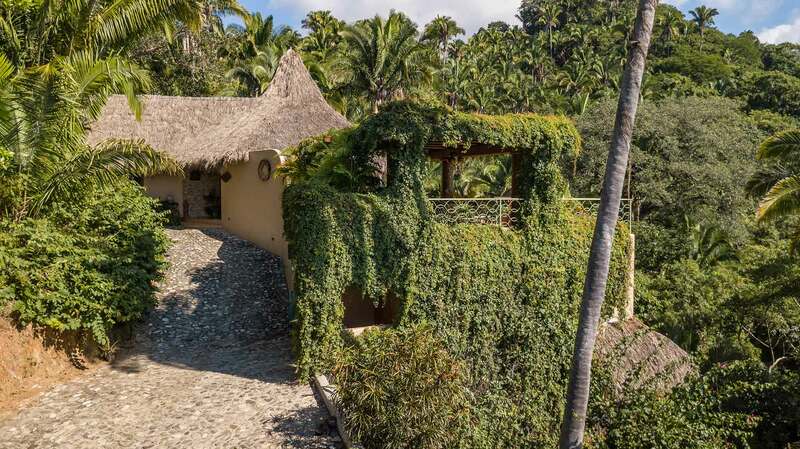 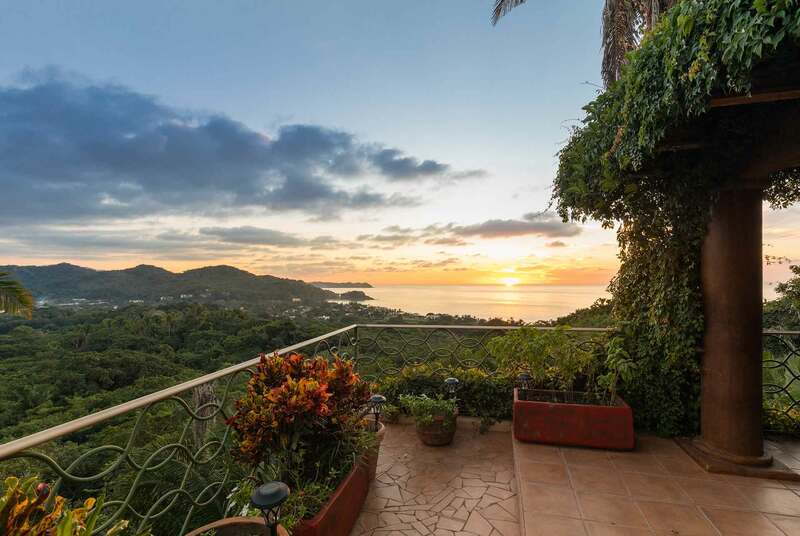 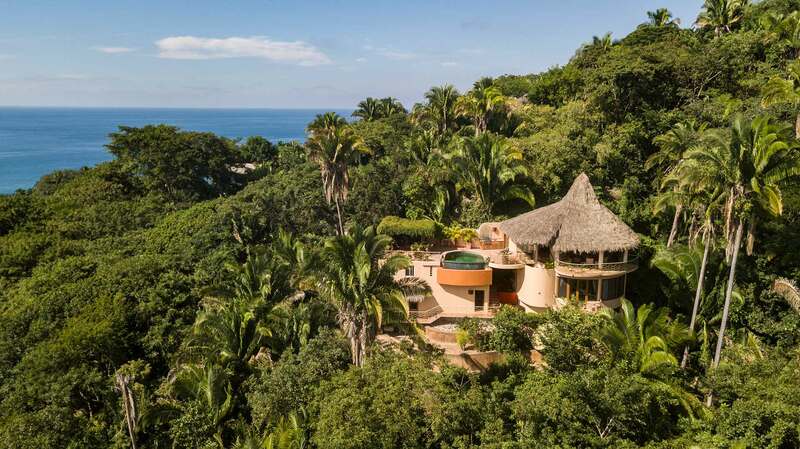 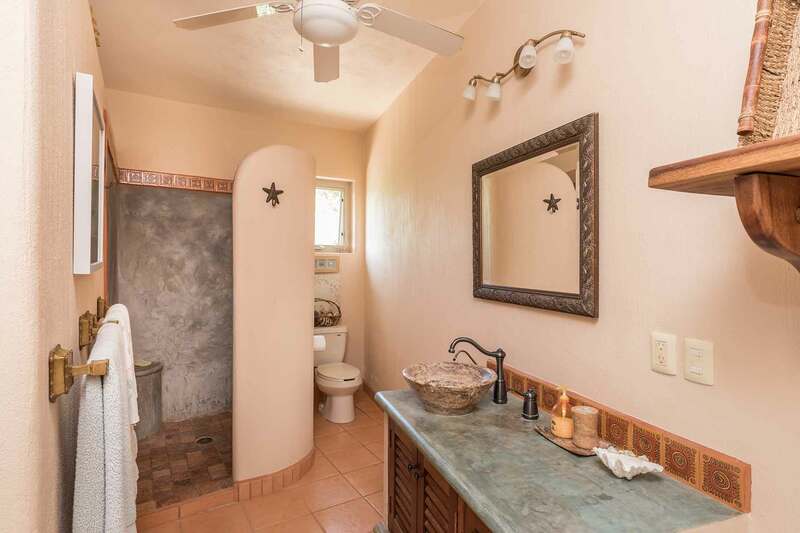 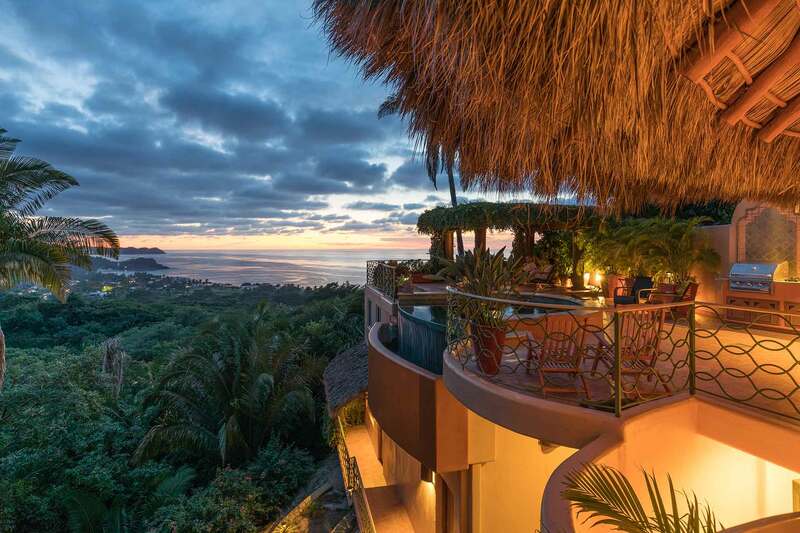 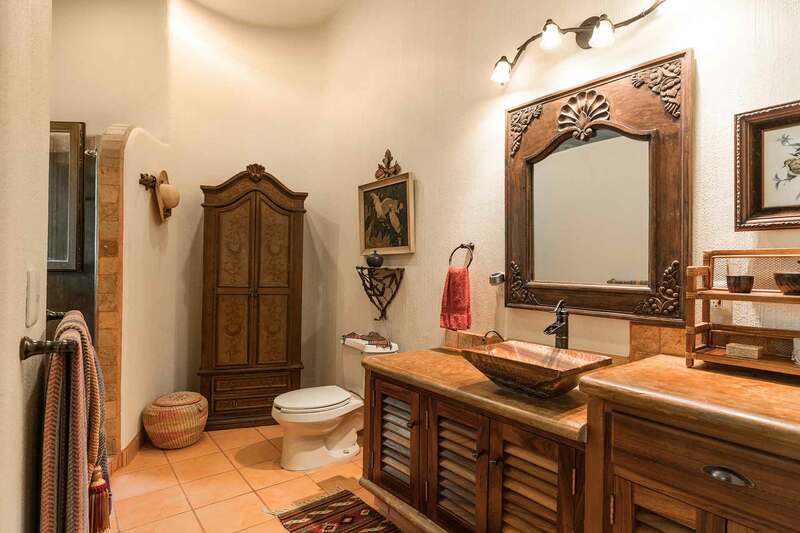 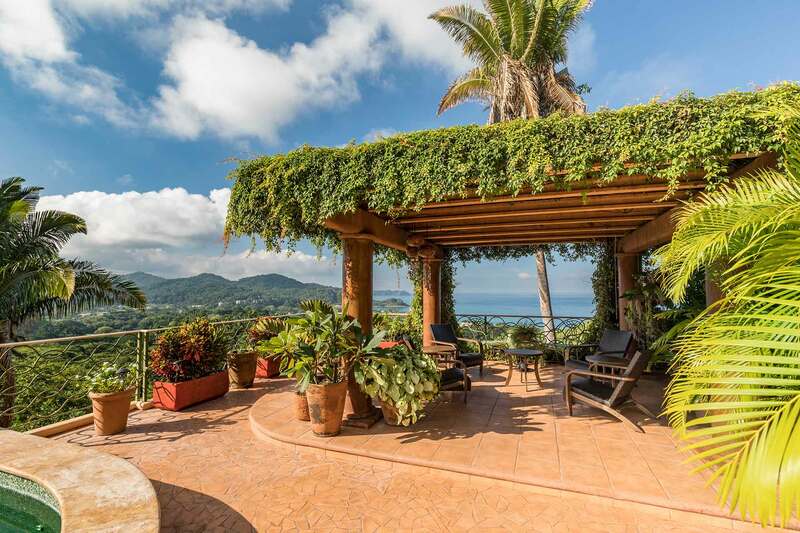 This home is located in a unique and private neighborhood, which is close to town and provides incredible views of the Pacific Ocean, jungle and charming beachside town of San Francisco (San Pancho). 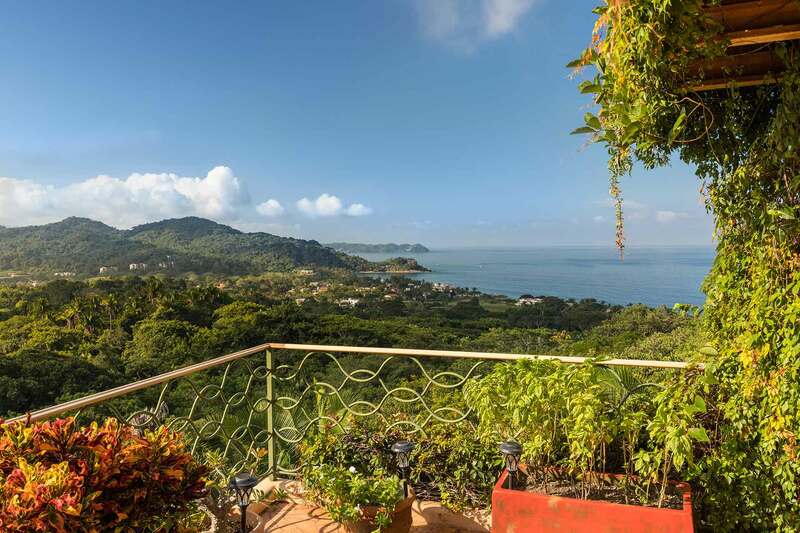  From the front door it is just a quick, 5-minute walk to the beach or town and sits elevated on a picturesque and peaceful hillside. 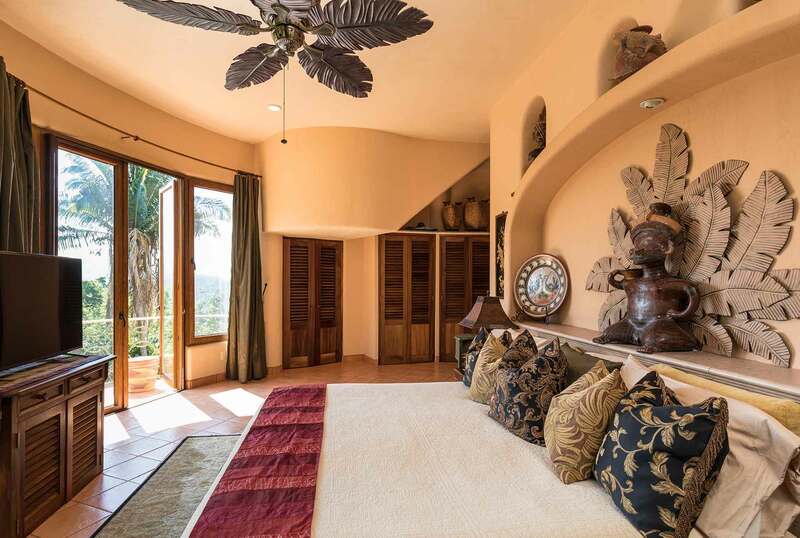 From the moment you enter this beautiful home you will notice the dramatic ocean vistas, which are ever present in the home. 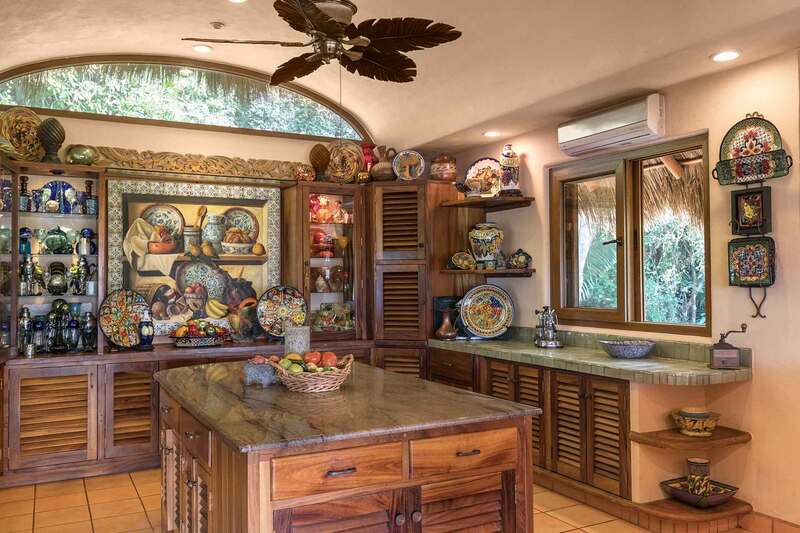 The spacious kitchen and barbeque area was designed for hosting family and friends. 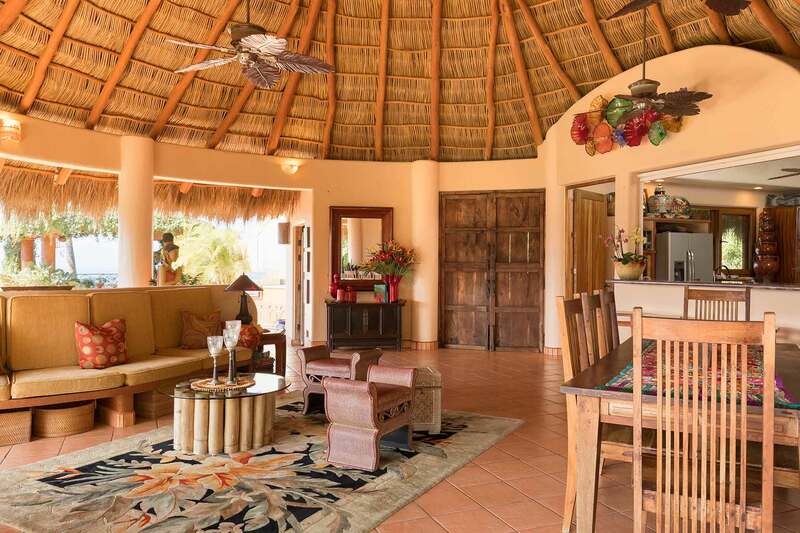 The living and dining areas are open-concept and lead out to the rooftop pool and veranda. 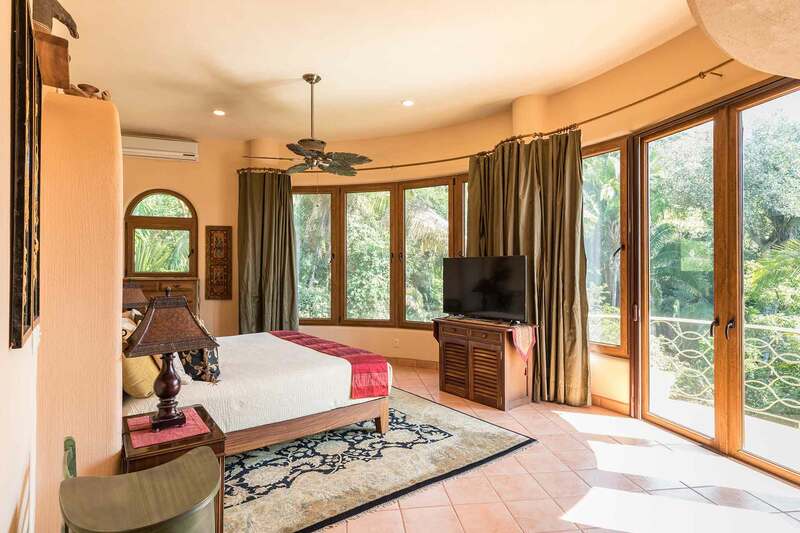 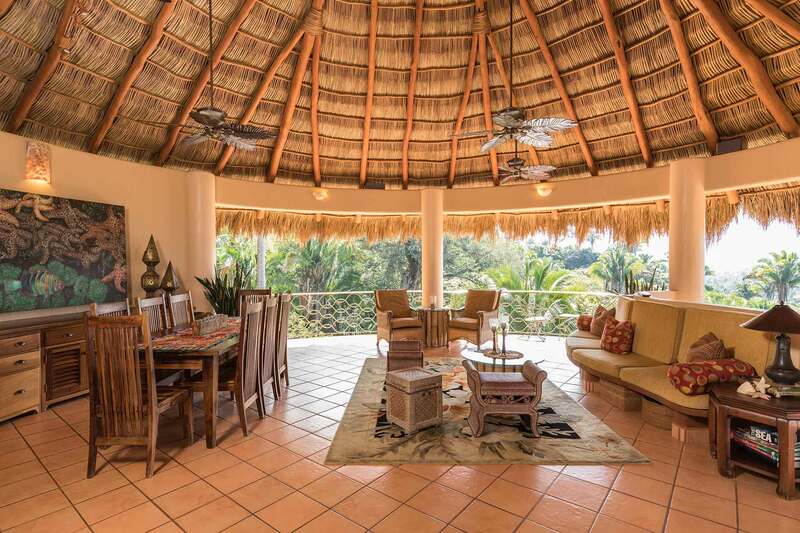 The expansive living area adjoins the tropical, indoor dining area under a beautifully constructed palapa, which overlooks the pool, jungle and ocean. 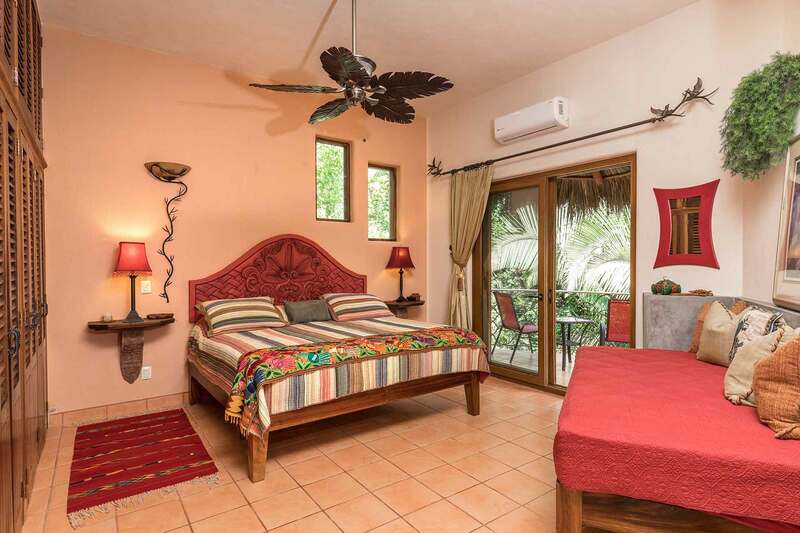 Stairs lead down to the three en-suite bedrooms, all of which are tastefully decorated and offer views of the ocean or jungle. 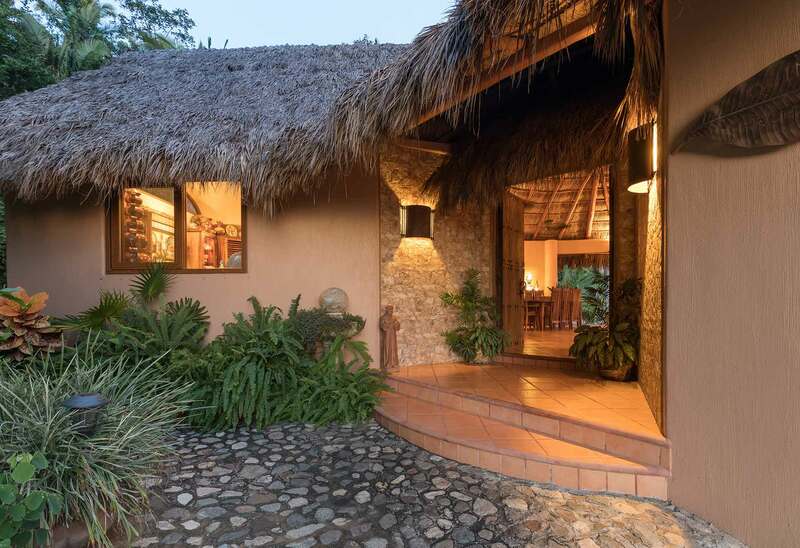 You will fall in love with the sunsets from the pergola-covered veranda, which give you the feeling of uncompromised privacy even though you are only a stones throw from town. 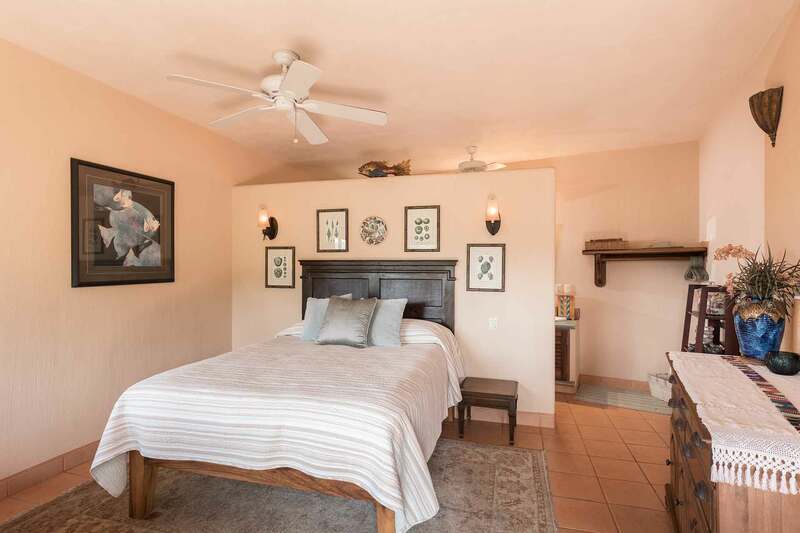 A generous, attached garage and storage rooms complement this very livable home and make this a great option for both vacationer homeowners as well as full time residents.